An Entity of Renowned Esteem and Pride... Best in Natural Stone of India. With an undeterred belief in "open door corporate culture", Sushila Overseas, Natural Stone Exporter in India were established in the year 1980, as an 100% export oriented natural stone manufacturer and natural stone supplier of raw and polished natural stones including Sandstones, Limestones, Slates, Mosaics and Fireplaces, Sandblasted and Paving Stones. 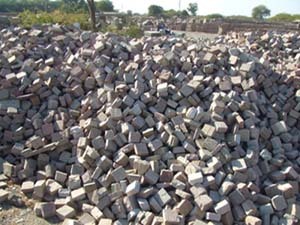 Along with these natural stone products, we also offer Quartzites, Hand Cut Stones, Sandstone Monuments, Garden Furniture, Slabs and Blocks. 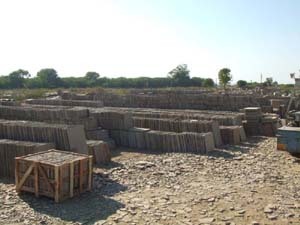 With complete commitment towards flawless quality, our related endeavors begin at the blue-print stage, including the natural stones procuring from the quarry and ends at the customers' site. Our own mining area is situated at Bijoliya (Bundi), India. The company's stringent quality standards are driven by our integrity to deliver the best. 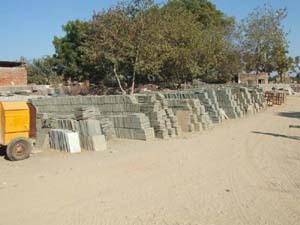 We offer top quality natural stone products at competitive prices to our buyers around the globe. 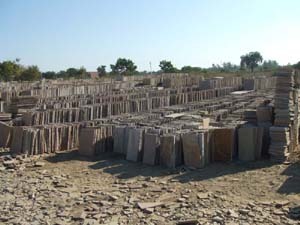 We offer you a wide variety of natural, quarried stones in varied colors, textures, and precise cutting. As a matter of fact, our professionals place major emphasis on intense researching of the natural stones. We continuously develop our products to bring to you the greatest varieties and the most durable pieces with the best economies in the global marketplace of natural stones.